It is perhaps a surprising venue to find some of Lozi's minimal pieces, but the Ideal Home Show roomsets for GoodHomes magazine are a treasure trove of unexpected inspiration. Designed by Kate McPhee, they feature a great mix of classic brands, new collaborations and high street staples. Lozi has a selection of our smaller plywood accessories on display in the Family Living Room, and to celebrate we thought we should go through our favourite pieces and tell you what Lozi pieces we would love to see them next to. We love the mix of high end designer pieces with cheaper items from high street chains. Mixing up pieces makes a room unusual and modern without breaking the bank. Yes you read that right - British Homestores, or BHS the old fashioned department store your nan shops at, does a beautiful and incredibly affordable range of lighting. Yes they still do some wonderfully tacky crystal chandeliers and questionable table lamps with pleated lampshades, but their new range of art deco and industrial inspired minimalistic lighting is worth discovering. Brilliantly priced, in the right environment these lamps could easily pass off as an expensive antique. 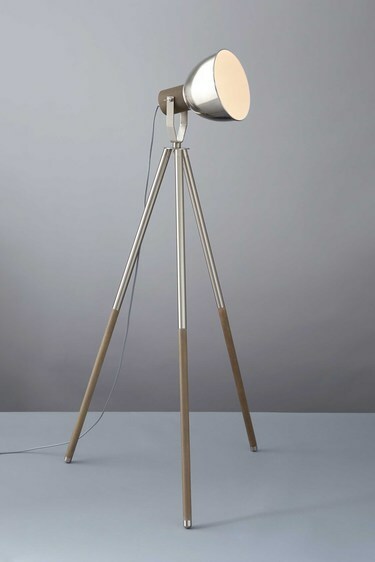 Our favourites are by far the Them Table lamp, Adum drop pendant and Alex and Voel Floor Lamps. Them Table Lamp, £40, at The Ideal Home Show Dining room. Create a grown up and elegant dining space thanks to Lozi's Sea Table. Combined with any of these beautiful lamps and a couple of Lozi's benches and you have set the background for fantastic dinner parties for years to come. We still can't get over how small this projector is! "Display whatever you like wherever you like" might be Sony's tagline for this projector, but we like to think of it as "never again balance your projector precariously trying to get the right angle". Measuring an astonishingly tiny 80 mm × 131 mm × 131 mm, this projector redefines discreet. By projecting up rather than forward, it can be placed on a counter top or table under the wall you wish to project onto instead of halfway across the room. 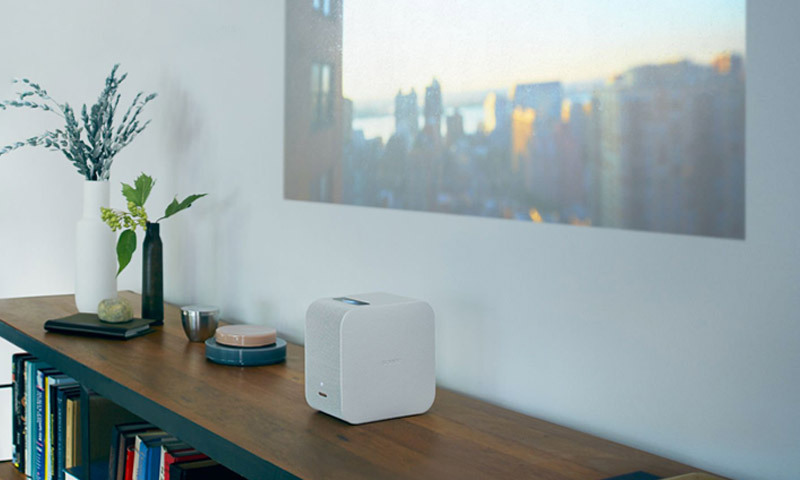 Starting at £899, this little piece of tech definitely doesn't come cheap, but in our opinion is completely worth the money, especially if you live in a small city flat where space is at a serious premium. Lozi's beautiful Shelving System is the perfect companion to this clever piece of tech. So tiny and discreet, you would barely notice it was there until you wanted to turn it on. Or carefully hang a Smile Shelf so it is perfectly positioned for projecting on film night. Founded by Pete and Kirsty Thomas in 2014, Tom Pigeon is a multi disciplinary studio that designs "simple things for people to enjoy". Their selection of minimal prints focus on pleasing if surprising colour combinations and explore the use of negative space as well as the balance of line and form. Simple and powerful, it is really hard to go wrong with these prints. Available framed and unframed and starting from as little as £25, these are a brilliant way of adding a splash of colour without going too wild. They also do a fantastic range of stationery and their understated jewellery makes a perfect birthday present. Balance 3 Print by Tom Pigeon, £65 unframed. It goes without saying that a Tom Pigeon print should be hung right above Lozi's beautiful minimal curved bed. Simply add two matching bedside tables and you are set for a restful and stylish night's sleep. 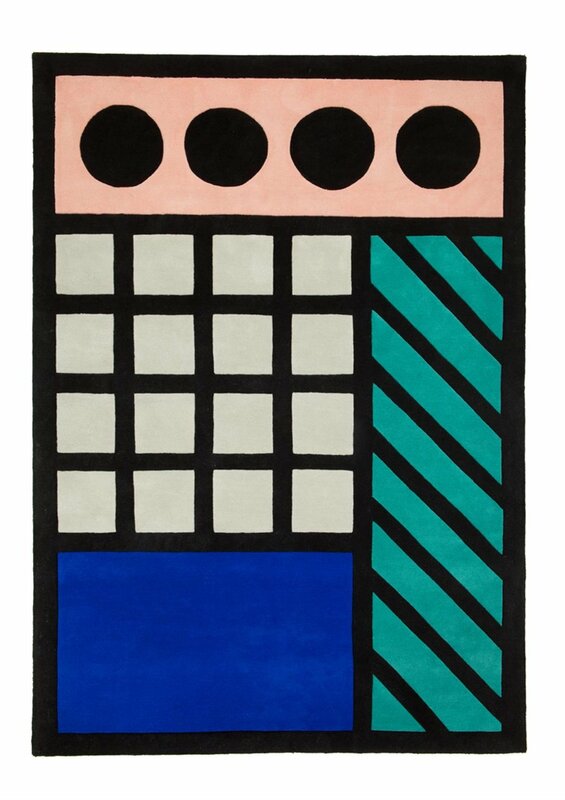 The Queen of Colour - Camille Walala for A Floor Story Rug. Her work having now nearly become ubiquitous, Camille Walala remains the queen of instagrammable colour. Her distinctive vibrant geometric prints are heavily inspired by the Ndebele tribe and the Memphis movement and are a fantastic way of brightening up a room. She recently collaborated with rug specialists A Floor Story to create 4 super bold rugs. Starting at £395, these are perfect when teamed with more understated pieces. Create a stunning living room anyone would be envious of by pairing any of these gorgeous rugs with a Lozi Rio Chair. Focus the attention with one of the rugs and a Lozi Coffee table, and you have a beautiful grown up room to relax in. Neatly slotted under the inbuilt table top in the kitcehn room set, these modern stools really stood out. 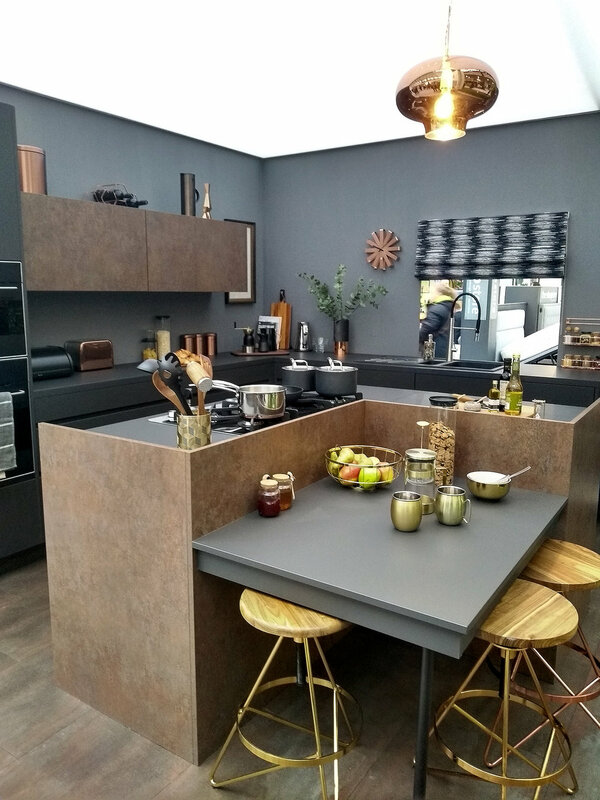 Contrasting the brass legs with the copper fixtures in the rest of kitchen stops the room looking too matchy matchy whilst small highlights of brass accross the room ties the look together. Starting at £79 ech, these stool are a great addition to any kitchen space. Pick a few of these lovely stools to set against one of Lozi's beautiful made to measure kitchens. Make sure to choose the stool's legs to contrast with your choice of wood! Discover our U Shelves, Erlen Wall Hanging Planter, Magic Rulers, Morabaraba Game and Picture Clicks.